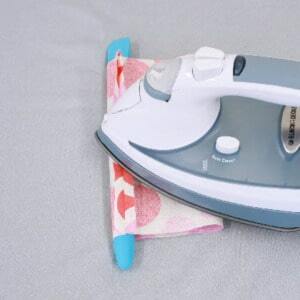 I simply got tired of burning my finger at the iron. 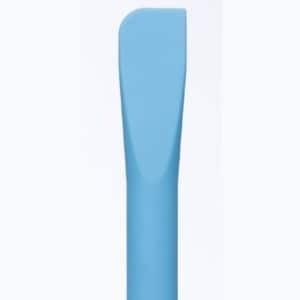 So I married my small kitchen spatula to a broom handle and made it out of silicone. 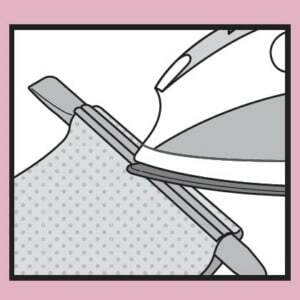 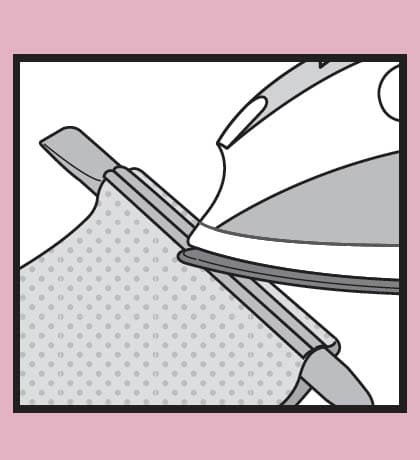 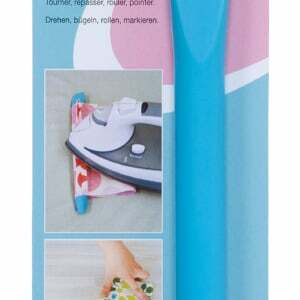 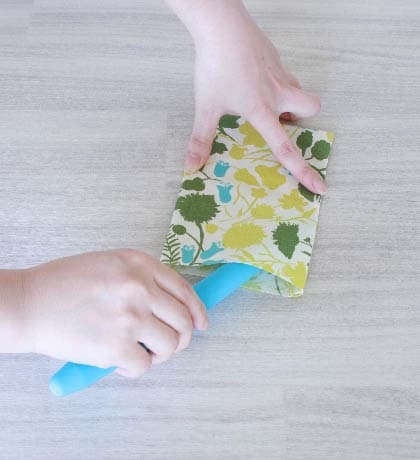 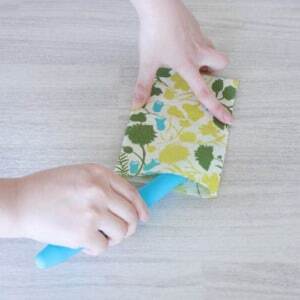 Use this multi-purpose, heat resistant pressing tool to use in place of your finger at the iron. 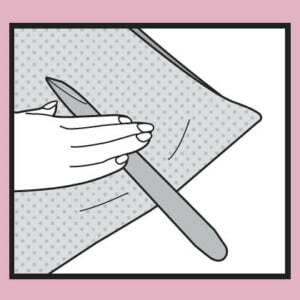 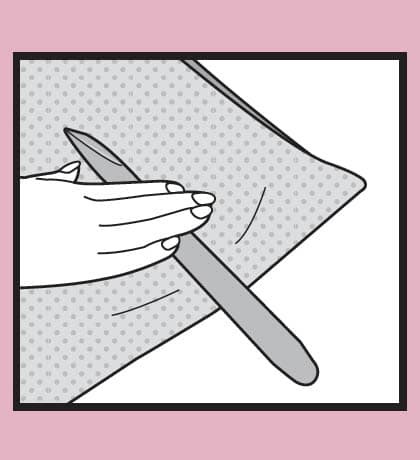 Spatula end for finger pressing, point turning and gripping fabric to hold in place. 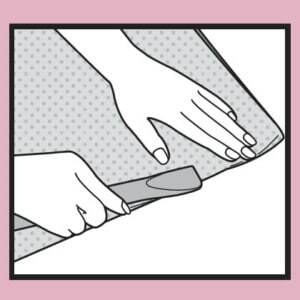 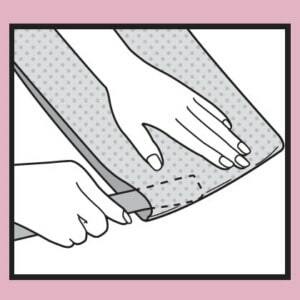 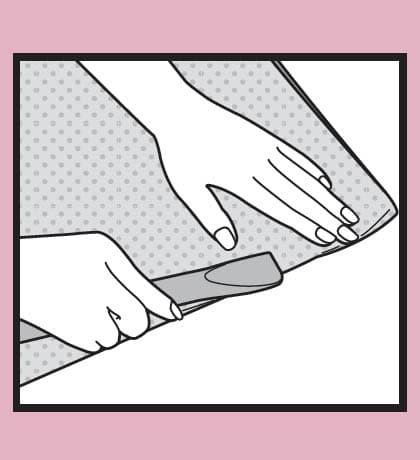 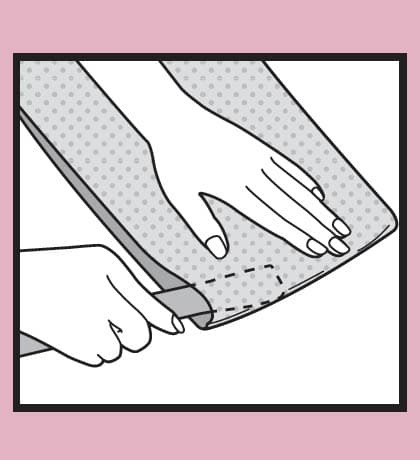 Use handle as seam roll to press seams open. Press with or without an iron. 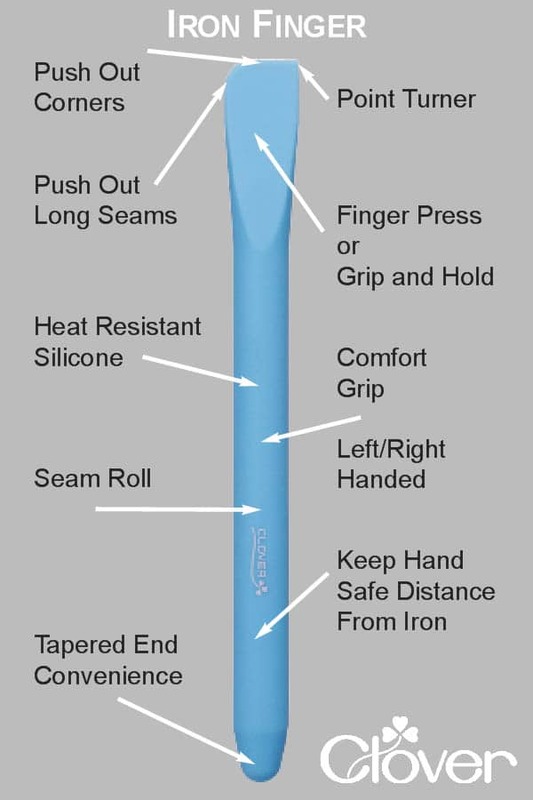 Soft grip for secure and easy handling. 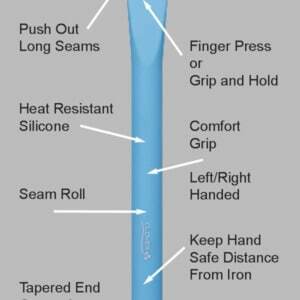 Left/right handed. Length 9 1/4in.